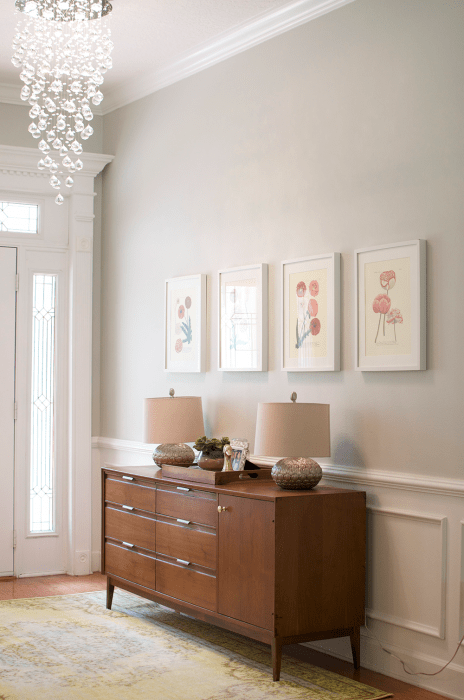 Gray Owl by Benjamin Moore is one of the most popular gray paint colors. In fact, it has been dubbed the perfect gray. Let’s see how it looks in rooms and discuss its undertones. Over the weekend, my sister-in-law, who is moving house, asked me for a gray paint recommendation. I immediately thought of Benjamin Moore’s Gray Owl, which I’ve seen all over Pinterest for several years. I haven’t had the opportunity to use it myself (we previously used Natural Gray by Behr in the kitchen & nursery) but knew that it was a true gray that didn’t have any crazy blue, purple or green undertones like many of the other popular grays. I’m already fantasizing about what MY new house is going to look like and how I’m going to decorate it, even though we are moving into a rental apartment for the next 10 months. My dream house will have an open plan main floor and I’m envisioning using Owl Gray throughout with lots of chunky bright white trim. GAH! I’m so excited to have a new place to decorate! A girl can never be too forward-thinking, right!?! For those of you who are currently looking for a gray paint or simply dreaming of designing a new space like me, let me introduce you to Gray Owl. I think you’re going to love it! Looking for more gray paint inspiration? Read more about my other faves – Stonington Gray, Paper White & Repose Gray. You’ll notice that this particular gray works well with wood tones as well as the more commonly used white. In fact, from what I can tell, it works beautifully with all tones and in all different lighting conditions. Have I persuaded you to choose Owl Gray for an upcoming paint job? Or have you already used Gray Owl in your home? Do you have a paint color that you absolutely swear by? I’d love to hear from you! We used Grey Owl (at 50%) in our upstairs hallway and it looks great! However, I am not loving it paired to Edgecoomb Grey in our downstairs hallway. Need to change this! Should I continue with Grey Owl or could I switch it to Repose Grey (possibly at 75%) for the downstairs hallway? Like the warmth of Repose Grey with our downstairs colours (Overcoat and Museum Piece). Thanks! I just want to add another opinion (warning) about Gray Owl — I just got home from checking on today’s work by the painters at my new condo that I’m moving into next week to find I now have a powder blue living room and foyer. I am a little heartbroken. I did so many samples! But it’s just different once the entire room is covered and reflecting at itself. I mean, it’s not even what I would call an undertone; it’s straight up blue. I’m holding out a little hope because the trim isn’t painted yet, and it’s quite yellow, which could be drawing out extra blue from the gray. But I have a feeling there’s a repaint (repose gray here I come!) and a delayed move-in date in my future. Jenna, love, love, love your designing and your blogs! Your blog this week brings up a subject that perhaps you could do a blog on for those of us who are color dumb: warm and cool tones. I have difficulty discerning one from the other and wonder if you would offer insight. Hello, I really love how gray owl looks but I am looking for a similar color from Behr and a lot of the gray colors from Behr that I have tried have a blue or purple or green undertone and I’m not a huge fan of that. What would you recommend? Hi Alejandra, you can get most colors mixed up in different paint brands. Just tell the person at the paint counter to look up the color code for Gray Owl and they will be able to mix it up in Behr paint for you. Did you test the color before committing to it? 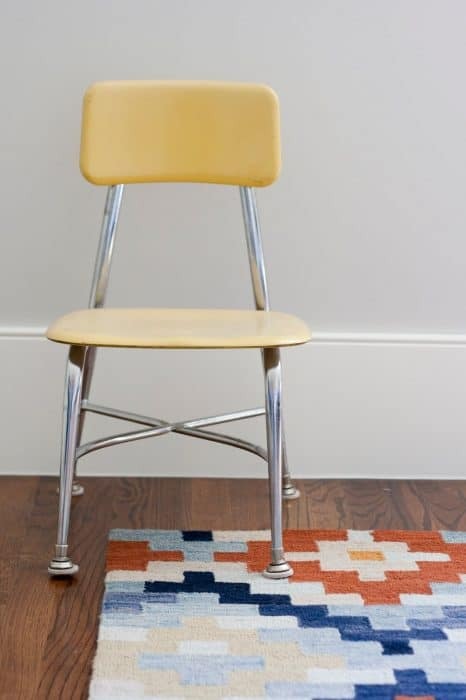 It’s so hard to judge what undertones a color will have until you’ve tested it in a space. I would never commit to painting until testing it. Wow! Sorry to hear that, Amy. I know countless people who have this color all over their homes without any crazy undertones. Do you have a lot of colorful accessories or something? It seems unusual that you would have a variety of undertones coming through as usually you would only see one. Did you sample the color before committing to it? It’s so important to try it on every wall to see what colors come through before painting the entire space. Thank you for your helpful post! I don’t get a lot of natural light in my loft style condo (northern exposure), but of the grays I tried, Moonshine seems to work best. I’m a bit worried about the green undertone that some have mentioned, but I’m ready to commit. I plan to use Simply White for the trim per your suggestion. Any recommendation on an accent wall? I have espresso cabinets, espresso wood floor, and stainless steel appliances. Many thanks! Hi Marianne, Moonshine is a beautiful light gray that looks really fresh, bright and clean when paired with white trim. It does have green undertones (the darker colors on the same color card are greens) but they are not too noticeable in Moonshine itself. I think you’ll love it! For your accent wall, it’s hard for me to give ideas without knowing what other colors you have in terms of decor, etc. but if you’re looking for some contrast picking a darker color on the same color card is usually a pretty safe bet. If you want to steer away from the greens on that card, nice darker grays include BM Chelsea Gray, SW Gauntlet Gray or SW Serious Gray (which looks bluey/gray). Thank you. I have decided to go with Gray Horse. I actually don’t think the green undertone will be an issue based on the light in my rooms. Ugh, I’m so sorry to hear that! I know so many people that have used Gray Owl and it has minimal undertones. It’s so difficult when choosing paint because your light and furniture situation can really dictate what undertones show through. Have you tried introducing more white into the space? I’ve always found that crisp whites help grays to really shine through. Love your blog..and your inputs . Just completed painting my home Repose grey (living)Mindful gray (dining) seperated by a 2 storey foyer in the front of the house .The home faces east . Am in a fix what neutral (grey tone) to go with for the foyer as I have to take that colour to the upstairs hallway…as well. Is sea salt going to be too drastic a grey green blue sitting in the middle ….or should I stick to something calmer like classic gray . I just am not too comfortable with greys with purple . Am also looking for a neutral basement color …in grey tones. We just picked Behr Reflecting Pool for our basement which a wonderful light blue/gray. Actually, the next color on that color card is Light French Gray which is a lovely solid blue/gray that might work well with the grays you already have. I’ve seen Sea Salt done with repose/mindful gray in the past and it looks beautiful but another good color is Brewster Gray which is darker but really beautiful. In the end, it’s always best to purchase a few samples and throw them up on the wall. It’s so difficult to advise on paint colors as they can look so different depending on light and adjoining rooms/wood tones, etc.! I have a post on Blue/Gray paint colors that might be helpful for you, too. Thank you Jenna for your insight …. Will look at Brewster s grey as well . I’m so glad the Gray Owl worked for you! One bluish/greenish color that works really well with gray owl is SW Sea Salt. It’s a really beautiful color. Other similar colors that are equally stunning at BM Palladian Blue & Wedgewood Gray. I think any of those would work with the Gray Owl & Gossamer Blue. Another color that I really love is Light French Gray by Behr. It’s a blue/gray and it’s really beautiful. Take a look at Pinterest/Google at those colors and see if they are along the lines of what would work. None of them are really “teals” but definitely have blue/gray/green going through them. Thank you so much for the quick reply and advice :). Hello! I am so glad I stumbled across your blog! We just purchased our home in Hawaii and we have so much painting to do. My wife was stuck on painting the biggest wall in our living room charcoal blue by Sherwin Williams. I was thinking that a light/crisp gray would help to add more light to the space. I have no idea what to do for the kitchen. Maybe a shade darker than the gray owl? Do you have any suggestions? Our home sits on the west side of the island. Would grey owl work? Gray Owl is a beautiful light color that works well in most spaces. If you are concerned about keeping the space bright, a light color like Gray Owl is a great choice. 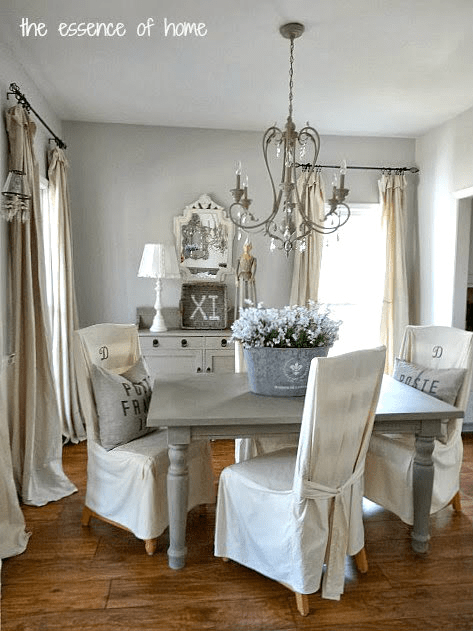 If you would like a warmer gray, Repose Gray by Sherwin Williams is one that I’ve used in the majority of my house and it’s really nice, too…but warmer. If you’re looking for a darker shade it’s always a good idea to go to the next shade on the color card – so in the case of Repose Gray that would be Mindful Gray. Either way, I highly suggest grabbing a few sample pots and painting a few walls. See how the colors change as the light changes throughout the day! We just painted our kitchen cabinets gray owl, which looks amazing w our marble countertops. Now we are deciding on the walls and trim. We are thinking simply white for the window and crown molding trim and for the ceiling, but are undecided about the walls. We’d like it to look warm and classic. The house is a Victorian. I thought about a light grey green or grey blue, but also am considering a darker grey. Thoughts? I would definitely recommend either simply white or decorator’s white for the trim – good call, there. I honestly think so many colors would look amazing with your cabinets/counters combo. There’s some really beautiful gray/blues that I adore (see this post) and depending on your lighting situation, a darker gray like Serious Gray (which also has blue undertones) could also work. If you want to keep it light and bright and like green undertones, SW Sea Salt is an amazing color that would probably look fabulous with your color scheme, too. There’s honestly so many colors – Pinterest/Google is probably your best friend to help narrow it down. Then grab a bunch of samples and see how they look in your space before committing. We followed your advice and painted the walls Sea Salt to go with the Gray Owl cabinets and the room looks amazing! I wish I could send you a picture – thanks for your excellent advice! Miranda, I’m so glad it worked out! Sea Sea is a fantastic color! I’d love to see a picture of the completed kitchen!! We are debating between Stonington Gray and Gray Owl for our kitchen cabinetry, with Frosty Carrina Caesarstone countertops. Lots of light, white subway tile backsplash. Curious to see how yours turned out?? Thanks! Hi Kim! We just put new counters in the kitchen so I’ll some updated pics up soon. We ended up keeping all our cabinetry white. Our kitchen walls are currently painted SW Repose Gray…the Stonington Gray was VERY blue in our kitchen! It’s one of those colors that can be extremely blue under cool lighting conditions. I have it in several bedrooms in the rest of our house and it’s beautiful, though. Gray Owl is more forgiving but again you have to be careful with the light. Repose Gray is more of a greige and certainly warmer but it also a great choice for cabinetry! I’m looking for a gray for an overall house color. Most of the light comes from the east and the floors will be a light natural hickory . The house is just over 1000 sq ft. What are some grays you would recommend? With east facing rooms you want to consider the fact that they will be warm at one point of the day and cooler at the other point. Personally, I like to use a color like Repose Gray in a situation like that because it’s beige undertones stop it from ever feeling cold and it feels wonderfully warm when the sunlight hits it. It’s a medium gray (or greige, technically) and looks amazing contrasted with white trim. You can read more about it here. Perfect timing, we are painting our living room, dining room and hall next week in gray owl and I’m now trying to decide on trim. We currently have Benjamin Moore bleeker beige with a yellowish ivory on the trim and fireplace mantle, and I know I need something brighter and cooler, but I’m stuck between decorator’s white, white, and super white (which my painter says his clients use a lot and it seems to go with everything. I’m also considering Chantilly lace, which is the whitest. Ideally I want a nice contrast and complement to the gray without it being screaming white. And what about the coved ceilings? Would you do that the same as the trim? Our red oak floors tend to cast everything pink, and with South and west facing windows the light is warmerror, too. The fireplace mantle I’m actually considering painting a medium dark gray. Would love any suggestions! The most popular colors for trim tend to be Decorator’s White or Simply White. Super White has a blue undertone in the wrong light (which is why it’s “super” white – it adds an extra coolness to it.) 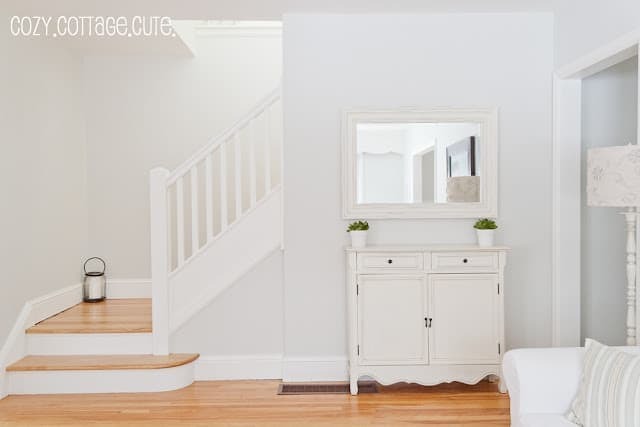 Both decorator’s white and simply white have no discernible undertones and are bright crisp whites that look amazing without being cold or “screaming white”. You can’t go wrong with either of them. For the ceiling, a standard off-the-shelf flat white paint works just fine – but by all means the trim color in a flat paint works perfectly too. I would also do the coving the same color as the trim. A darker gray that works really well on fireplaces and other accents is Peppercorn by Sherwin Williams. It’s an amazing color! Thank you! It’s funny, the more I look at the decorator’s white, the more it looks pinkish gray, and maybe too cool, so now I’m considering cotton balls or snowfall white. They seem to have the smallest amount of warmth/yellow undertone which takes off the harsh edge, but I think I’m on the fence about whether it will play well with the gray owl – which looks like a warm-ish light gray to me until I put it next to a warm-ish white, and then it goes cool/green and makes the whites look more yellow. 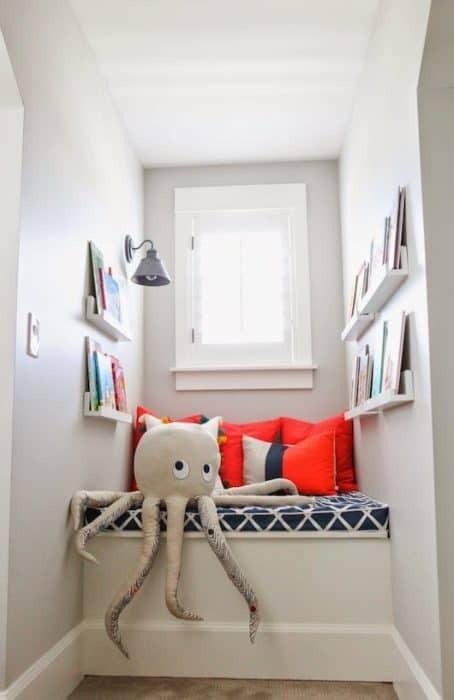 I was thinking I’d like to use the same white on the ceiling in a flat, and we’ll be going from plain, untinted “ceiling white,” which i think is a little harsh, to something slightly toned, so I want to choose the right one. Our red oak floors seem to want warmer undertones in paint, and I wasted a good 90 bucks on gray samples with too much blue in all of them. I find this whole process to be maddening and wish I had the budget for a full service interior designer! Grays can be a huge pain – you wouldn’t believe how many gray paint sample I have! Trying to find grays without certain undertones can certainly be tricky. My go-to warm gray is definitely Repose Gray – I would try that if you’re looking for something warmer. Again, it’s all so tricky depending on your light and the surroundings! Good luck! So glad I ran across this article! We just bought a new to us house and are currently painting all the common areas of the house gray owl. But I wanted to do another color for the kitchen since it’s open concept. The kitchen right now is bright yellow with brown wood cabinets. Since we are not changing cabinets right now I wanted a color that would go with the gray owl. All trim is in bright white. Any suggestions? Hi Nish – do you want to stick with a gray or add more color? There’s some really nice blue/gray colors (see this post) that work beautifully with Gray Owl. Hi, i need your advise I want to paint my house and I was thinking in use gray owl oc-52 for my living room and gray owl but lighters to 50% in my kitchen because my cabinets are dark brown and use revere pewter 25 % lighters in my master-bedroom and I was thinking on use the same color for my 2 bathrooms can you please help me or what other color can I use? All those colors are great and work well together! Depending on your light, Revere Pewter can be very beige – another great option is Sherwin Williams Repose Gray which is a greige (a warm gray with beige undertones). I always recommend buying paint samples before making your decision as paint looks completely different in different rooms depending on the light situation. Good luck! My foyer and dining room is painted gray owl & has a very slight blue tone. I am wanting to paint the interior of my entrance door. I have seen a lot about SW Urban Bronze & wondered if it would work or do you have other suggestions. Thank you, love your site!! Hi Deb! Urban Bronze is an amazing color that I think would look fab! We painted our front door SW Serious Gray which is also a dark gray but with more of a blue undertone. I recommend grabbing a sample pot of both and seeing how they look – paint colors can look so different depending on what type of light you get. Good luck! 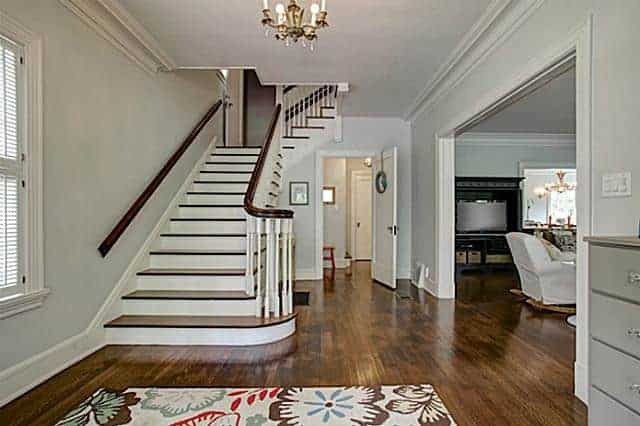 Hi, We moved into our new home two months ago and knew right away we would have to paint; all living space (except kitchen, dining room and bedrooms) downstairs, including staircase walls were a sad taupey brown. So….we chose gray owl to paint den, hall, foyer,stairwell and upstairs hall. It is gorgeous but the problem is our kitchen is done in a sherwin williams color called Basket Beige.While that would not have been my first choice,it works and actually looks pretty with the warm oak floors, creamy cabinets with glaze and the warm granite. So because funds are low, we can’t change any time soon. So the gray owl is up and my husband painted trim with off the shelf white paint which looks great with Gray Owl but is stark white, no undertones and the trim in the kitchen is very creamy white(I see yellow). You can see into each room from the other so the contrast is jolting and clearly does not flow. My husband wants to kill me because I wanted crisp white trim but now I am thinking we have to either change the trim with the Gray Owl or redo the kitchen!! I am soooo confused! How can I make the rooms work together without repainting kitchen walls? Is there a trim color that will work for both? Also, when I do repaint kitchen walls, what color will go with the warmth in there(cabinets, floor, granite) but still flow with Gray Owl? I feel your pain – when you have freshly painted walls and beautiful white trim you will really begin to see yellow undertones in rooms that do not have the same white trim! 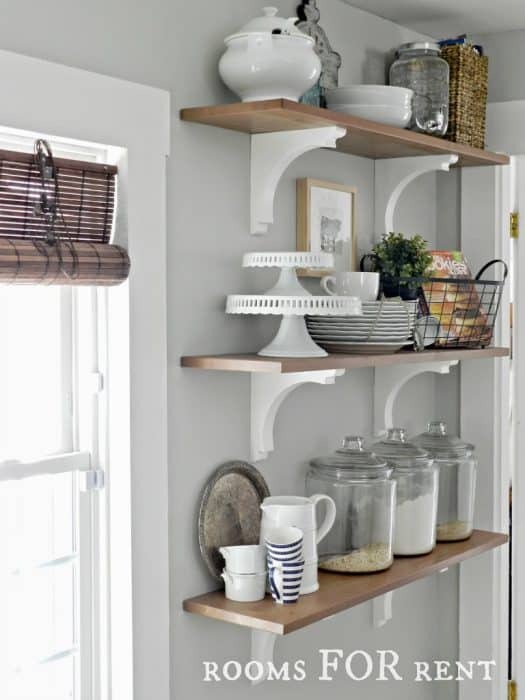 Is it possible to just paint the trim in the kitchen? That will also help to downplay any yellow tones in the wall color. If you have any white trim paint left (and you washed our paintbrushes the first time around!) it will only cost you some time and effort! Feel free to email me at jenna@wifeinprogressblog.com if you want to send me a picture so that I can be a little more helpful. It’s kind of tricky without being able to see the space! I need help with the outside of my house it’s grey now (stucco) I want to use the owl gray what color would you suggest fir the doors and our wood porch that needs painting? I love country and its an older home Help thank you. For trim and the porch, a crisp white paint always looks great. For the door, many colors work well with Gray Owl – you could try black, a deep gray like SW Peppercorn, a traditional red like BM Heritage Red or even a beautiful navy blue like SW Naval. Would any of those appeal to you? Hi Debbie! My favorite blue right now is Light French Gray by Behr (or the lighter version, Reflecting Pool). It’s a beautiful grayish blue that would work perfectly with Gray Owl. We have it paired with Stonington Gray which is just a little darker than Gray Owl. Thanks! I do love the Light French Gray however I think I am looking for a little darker or contrasting color with the same undertone. Is the Behr Polaris Blue to dark or undertone wrong? I just saw where Flint Smoke or Rocky Mountain Sky is on the same card, would one of these work? I’ve never seen Polaris Blue in person so I can’t attest to the undertones. Anything on the same color card as the light French blue should have a gray undertone and coordinate well! If you’re stuck between a few buy some sample pots and see what they look like in your own home. Paint colors can look so different depending on light situations in other people’s homes! Thanks for all your help!!!! I’m looking for that neutral gray and feeling a little lost on which to choose. This is a helpful post and I’m sold on Owl Gray. I’m curious, though, if I will pick up undertones with the wood cabinets in the kitchen we are buying. I won’t be painting them so I need a neutral gray that won’t make them look too red, yk? Any thoughts? Also, I’m looking for a recommendation of a darker gray for accent walls. I want to go with one darker wall in the dining room, possibly the foyer, and maybe some other places (bathroom) throughout the house. We are repainting the entire house (walls and ceilings) when we move in and I want to keep it all to three colors to make it simple. (a white, mid-gray, dark gray for accent). Hi Tracy! Owl Gray is a great choice! For your accent wall, you might want to just go one or two shades darker on the same color card – those colors would be BM Sea Haze or BM Desert Twilight. I have a lot of wood tones in my new home and Stonington Gray and Repose Gray look great, too. Stonington has a blue undertone in cool light but otherwise is great gray. Repose gray is warmer but we’ve used it throughout our house along with Mindful gray, which is one shade darker. You can see an entire post with pictures here. I highly suggest painting the color onto some paper or cardstock and moving it around your room to see how it looks in different light. Some grays can pick up purplish undertones if there’s a lot of wood, so it’s definitely worthwhile to grab a few sample pots before you entirely commit! We are considering Gray Owl for our kitchen (cararra countertops on one side, walnut on the other, white tile backsplash). If we do go with Gray Owl, we’ll lighten it by 50%. I know that cooler tones tend to look better with the cararra, but I am nervous because our color in the adjoining rooms (BM Soft Chamois) will be warmer. Any thoughts on whether this could work? Thank you! It’s hard for me to say without seeing the space. However, we have SW Repose Gray (a warm greige) and BM Stonington Gray (cool gray similar to Gray Owl) in adjoining rooms and it looks great! Soft Chamois is such a beautiful neutral, I think it will be fine with the Gray Owl! We just painted our main floor Gray Owl. Our kitchen is open concept to the living room and I am undecided what white to paint the trim, Our kitchen cupboards are a bright white and the crown molding above them also still needs to be painted, Do you have a suggestion? 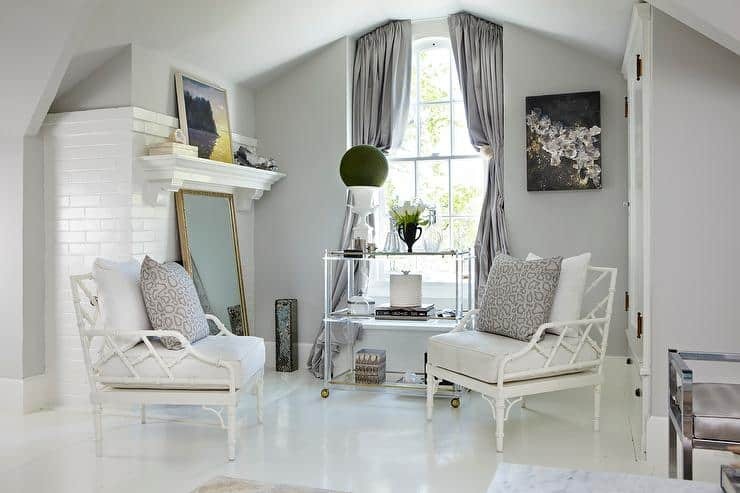 In my experience, Decorators White and Simply White, both by Benjamin Moore are both great trim whites. They have minimal undertones and are very clean looking. We used Decorators White throughout our home on all trim and doors and love it! I am using owl gray for our entrywa way/grand enterence ans up the stairwell. We have an open floor plans and it runs into the kitchen. Im looking for a good contrasting gray color-lighter but wisp grap is too white. A y suggestions. Revere pewter is seen from another room. We just painted our entire first floor in different shades of gray. We used repose gray (a warm gray) and contrasted it with mindful gray (one shade darker) in our dining room. We also used Stonington Gray which is similar to Owl Gray but with slightly more blue. Since you used Revere Pewter which is more greige than gray, you might want to stick with the warmer colors. Both Repose Gray & Mindful gray are beautiful. The lightest color on that color card is Elder White, which might be too light. I would certainly give those a shot,though! We’ve been very pleased with them in our home. I LOVE gray owl! Our living room/stairwell/hall is painted gray owl and it’s perfect! I went through literally 8 or 9 samples searching for the perfect gray. It does have blue/green undertones, but that is what I was going for. It’s gorgeous! I just painted my living room in Gray Owl and there are times I see blue undertones, and then there are times I see green under tones. Depends on the light and accessories in the room. Its a versatile color. I just had the main part of the house painted with Gray Owl, and although I can see gray times or in places, I see green tones. A very faint/pale green — not quite sea foam. (Now that is showing my age) And honestly after 27 samples, Gray Owl is the one that wasn’t too dark or too light, not too much purple or too beige, it has been difficult and now to have the green. The answer is it has only been a few hours, but I think it is a color I can live with. But now I have to find the right accent color to go with it, for painting one wall in the dining room and alcove with the bookcases. Suggestions? What a bummer! I was in a house last week that had gray owl and it really was the perfect gray with no visible undertones. I guess it just depends on your light and what surrounds it! I’m glad you are embracing the green undertones! Do you have white trim to help off set some of those tones? We actually just painted our nursery Gray owl. I was so excited about it – when I sampled it on our walls there were no undertones. Seemed like it would be the perfect gray! Unfortunately once the entire room was painted, it definitely had blue undertones. At some points of the day it almost looks baby blue. Not the look I was after at all. I have read now on other blogs online that Gray Owl can take on a blue undertone depending on the lighting and exposure in your room. I know gray is a tricky color, but I am not sure where to go from here. I’ve done a ton of research on gray paints, and it seems like you just don’t know what you are going to really get until the whole room is painted! Jessica – so sorry to hear that! Grays are notorious for having undertones and it really does depend on your light. We have Natural Gray by Behr in two rooms of our house – the kitchen and nursery. At times, the kitchen has a purple undertone but the nursery ALWAYS looks a true gray. It’s so strange! I did notice that once we painted all the trim in the kitchen white that it helped with the undertone situation. Wood tones definitely seem to bring out the purple more. Are you really unhappy with the blue tone? I love the gray we have in our house…maybe it would be worth getting a sample and see if it works in your light? You can see it in our nursery here. Let me know if you ever find the perfect color! 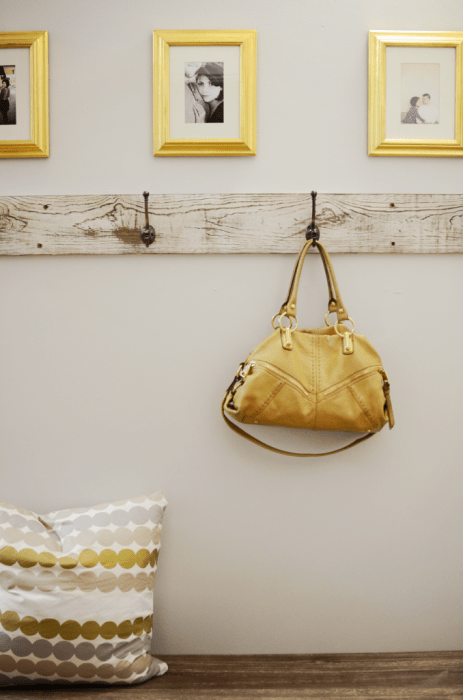 It might help to paint a large piece of posterboard and move it to different spots in your room to help figure out the lighting situation, too! I am currently using Palladian Blue that is a designer gray by Benjamin Moore that I picked since it goes well with wood tones. I’m happy to see that Owl gray looks good with wood as well. Of all the photos that Gray Owl lightened by 50% is stunning and I like the bedroom a lot too.